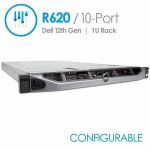 The Dell PowerEdge R520 is a 2-socket, 2U rack-mount server offering an excellent balance of processing power, storage capacity, and redundancy. 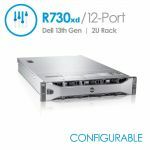 The R520's price per performance, configuration flexibility, and headroom for growth make it highly appealing for consolidation and virtualization, web hosting, for use as a medium-size mail server, or as a general-purpose server. 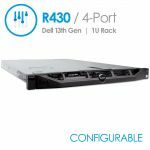 Tailor your system with up to eight internal drives, four PCI Express (PCIe) expansion slots and either hardware or software RAID options for data protection so you can leverage the PowerEdge R520's scalable design and wide array of reliability, availability and serviceability (RAS) features to help fuel your business growth. 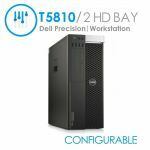 Extensive Performance - The high-density R520 design features up to 12 DIMMs to support both consolidated and virtualized environments. 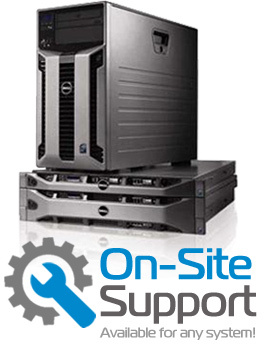 More information can be found on the official Dell PowerEdge R520 Specs PDF.